Are you looking for a great and safe place to leave your four-legged friend while you are away? A place where your pet feels completely comfortable, gets plenty of love and care and has fun with other dogs, as well as learning something new? Let me introduce myself, so you get a better idea of who will be looking after your beloved pet. My name is Diana Koester. In April 2012 I founded Phuket Dog Resort Co.Ltd. I have lived with, and loved dogs since my childhood. How we work with dogs and train them, is based on experience of working with dogs for 30 years. 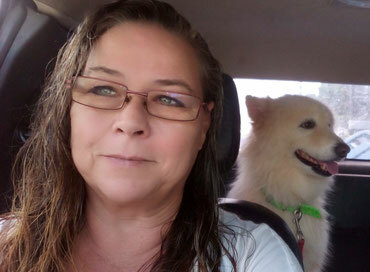 For more than 25 years, I have taken care of dogs of all different sizes and breeds; ones that needed a loving home while their owners were away, or dogs that needed a new home. I also help dogs coming from abusive households. I help them with a lot of love, patience and special exercises to enable them to lead a normal life with new, caring owners. With my own resident dogs, visiting ones have contact with their own kind and learn to find their place in the pack. In want to give you with our homepage a view into our Resort and looking forward to your requests all around dogs.